What are recycling and upcycling? Recycling is the action or process of converting waste into reusable materials, for example the materials that can be recycled are plastic (like bottles or containers) ,paper and cardboard (magazines, mail, newspaper..), metals (like tin, aluminium and steel cans) and glass (like wine beer and liquor bottles). Upcycling is the reuse of materials in such a way as to create a product of higher quality or value than the original, for example ,with a bit of imagination, you can transform a old ladder into a bookshelf. - Extending the life of our products using them more than once, perhaps reusing them in other ways. - Reusing items by repairing them, donating them to charitable organizations and other community groups. Recycling has many advantages. In fact, the less waste ends up in landfills,the more energy resources are saved.Recycling also prevents emissions of many greenhouse gasses and water pollutants. Another form of recycling is composting. A compost pile is made of leaves, grass clippings and other organic matters such as fruit and vegetables. Eventually, this pile decomposes into humus or compost. This may be used to provide nutrients to the soil, reduce the need for fertilizers,protect the soil from erosion and keep organic wastes from having to be landfilled or incinerated. 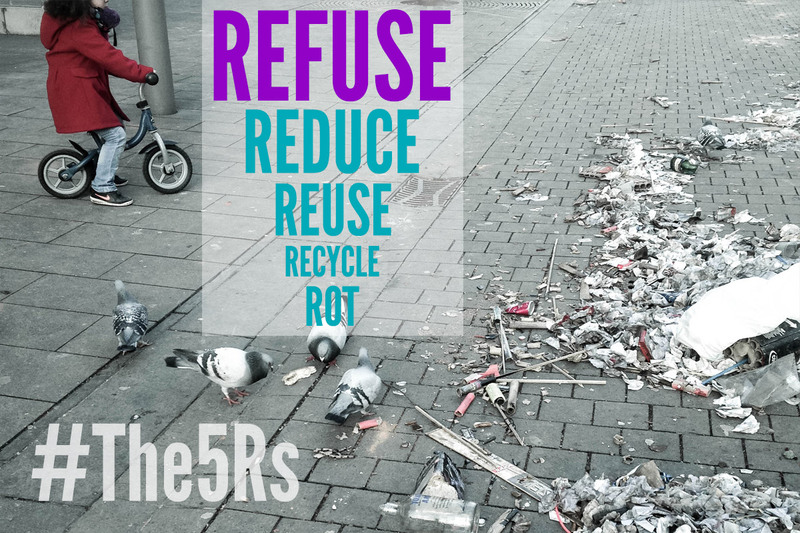 The5 “Rs” are Refuse, Reduction, Reuse, Recycling and Recovery of energy. Five actions that can improve your organization, your civil sppirit and also it is a list of easy ways to reduce your impact and save money. The order of the 5 “Rs” is also impportant, because only carried out on the environment in a certain order they guarantee a process of saving that is useful for society. “R” as Refuse: what you don't need, saying “no” to waste in the form of single-use disposables like bags, cups, etc. R” as Recovery of energy: if the waste can no longer be re-used or recycled, then it must be used to create energy, trough special waste-to-energy plants where they are burnt. The heat produced by combustion is used to produce energy. 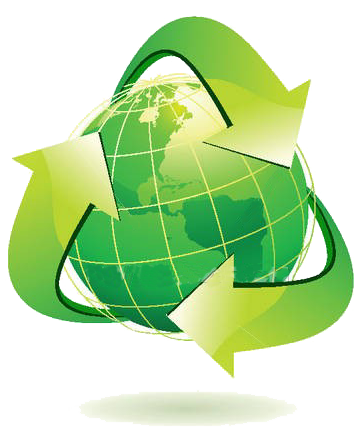 is a Kind of business which helps societies promote sustainable development and protect the environment at the same time. 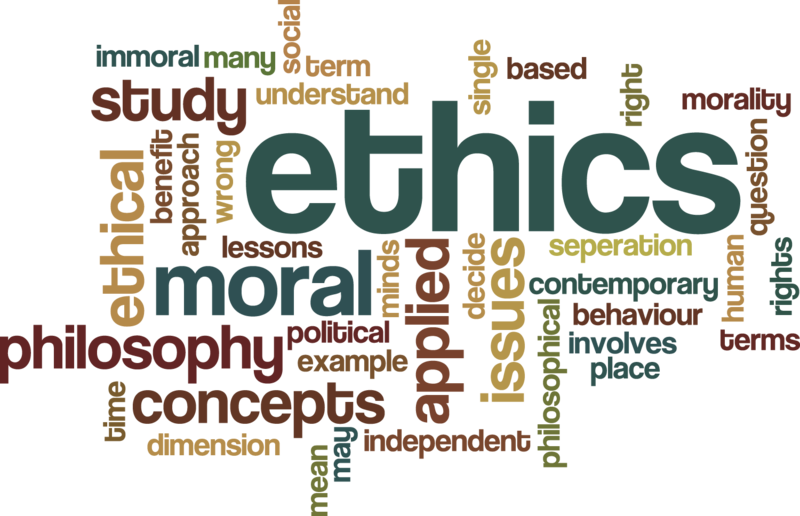 It bases its activity on moral rules. This helps us understand the difference between right and wrong, and in most cases can encourage us to do the right thing. Respect for the environment and the other people’s rights. The reform increases the responsibility of the producer, that will have to guarantee the respect of recycling. Also, the prohibition to sell dishes, straws, shakers, cotton buds in not biodegradable plastic will apply. The labels, which we find on our products, will state the negative impacts they have on the environment. In Italy new economic incentives are introduced that will reward the most attentive citizens. The municipalities that aren’t able to respect the established percentage in the regulation, must pay an additional of 20%, called green tax, that grows or decreases in proportion to the realization of the level of recycling. The additional will be used to finance intervention to prevent the production of waste, incentives to buy recycled products and materials and information activities for citizens. The regions can establish some economical prevention to increase recycling and reduce the quantities of not recycled wastes. The environment committee has introduced its circular economy approach to save resources and make their exploitation compatible with population growth worldwide. In England, 8.5 million tons of waste collected by local authorities end up in landfills. If we also include Scotland, Northern Ireland and Wales, the amount of waste in the United Kingdom amounts to 11 million tonnes. The report invites the Government to overcome "disposable society". 7.2 million tons of food are thrown away each year, and only 400,000 tons are collected separately and it’s only 6% of the total. 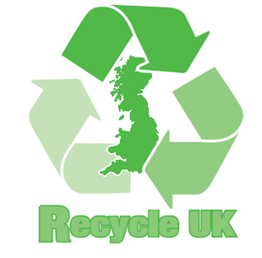 British companies complain that the recycling regime in England is confusing and makes it more difficult for companies to obtain secondary raw materials that could be used again in production processes. If more than 90% of families in Wales now recycle, in England just a quarter of local governments provide separate waste collection. The government try to reform tax rates and national corporate responsibility legislation, gratifying companies that produce greener products. Tax breaks should be considered for companies that repair goods or promote re-use. encourage companies to design products that have a clear path to end-of-life and are manufactured with easily separable and recyclable components. The government should also act to the manufacturing sector, to extend a guarantee periods for consumer, encouraging companies to adopt business models with more efficient use of available resources. The chairman of the commission Joan Walley says that government should do more to help companies change from linear economy to a circular one. 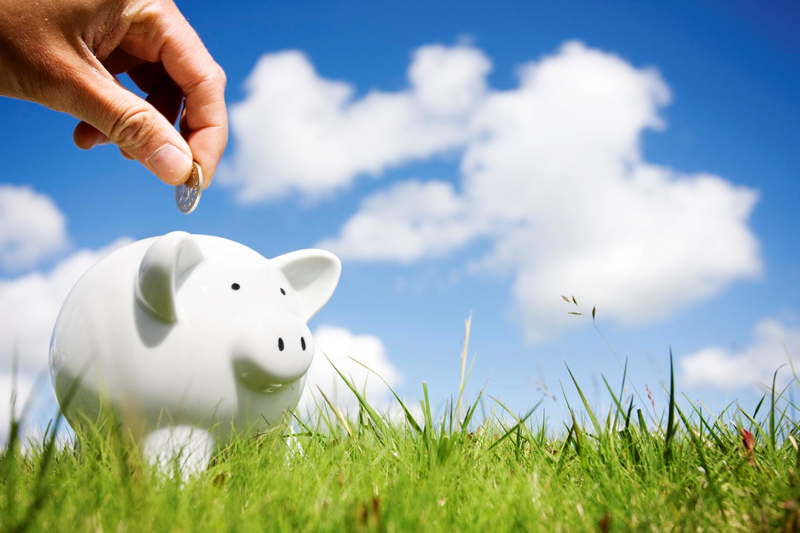 They have seen the success of the introduction of green taxes, such as the landfill tax. They need the same strong signals from the Treasury to promote the circular economy.